I first came across NM Penzer’s rather dated but still fascinating study of the Topkapi Palace as a teenager, when the book was left behind by the previous occupants of my parents’ house. I was immediately fascinated by the mysterious and horribly oppressive world behind closed doors, though at the time I never dreamed that I’d one day write about it myself. That chance came when I wrote the first of what turned out to be my Armstrong Sisters series, Innocent in the Sheikh’s Harem, and I discovered Lady Hester Stanhope in Lorna Gibb’s biography Lady Hester, Queen of the East. Lady Hester settled in Arabia in 1815, but I did worry, when embarking on my Hot Arabian Nights series, was it at all credible for me to locate not one but three heroines in deepest Arabia at the time? A little more reading, and I decided that it was pushing it, but not too far. Mary S Lovell’s excellent and highly entertaining biography, A Scandalous Life, introduced me to Lady Jane Digby. The last of her four husbands was a sheikh. She settled in Arabia in 1853. Another of Mary S Lovell’s biographies, A Rage to Live, introduced me to the intrepid (though I confess, rather irritating) Isabel Burton, wife of the explorer Richard. Isabel was also friendly with Lady Jane, when Richard was (disastrously) Consul in Damascus in 1869. And finally I read about Gertrude Bell in Georgina Howell’s Daughter of the Desert (which has just been made into a film starring Nicole Kidman). Gertrude travelled deep into the Arabian desert in the early 20th Century and was instrumental, with TE Lawrence and Amir Faisal in the foundation of Iraq. So while Arabia wasn’t exactly awash with English lady travellers, my heroines do have a sound foundation in historical reality. And if you need any more confirmation that women have been intrepid travellers across every continent, you can sample a few more in these excellent books: the Virago Book of Women Travellers edited by Mary Morris, a copy of which was very kindly sent to me by Alison Lodge; Ladies of the Grand Tour by Brian Dolan; and Unsuitable for Ladies, edited by Jane Robinson. When I was dreaming up this series, I wanted to find a way to link my heroines. Richard Holmes’s brilliant book The Age of Wonder gave me the idea to make them all scientists. I started with a botanist, in honour of Joseph Banks, president of the Royal Society and one of the most influential men of his generation. Banks was betrothed for a while to Harriet Blosset, daughter of the famous botanist James Lee, a botanist in her own right and to a small degree the model for my botanist heroine Julia, in The Widow and the Sheikh. Caroline Hershel, sister of William, who discovered Uranus, and who herself located and plotted several comets, was the inspiration for my second heroine, Constance in The Sheikh’s Mail Order Bride. Unlike Constance, when I first started on this book, I had no idea what I was actually looking at in the night sky, so I had quite a bit of catching up to do. 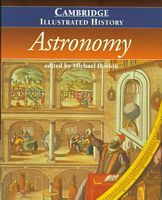 I started with the Cambridge Illustrated History of Astronomy, but my key guides were practical. 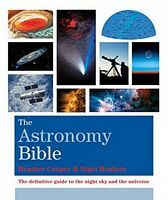 The Astronomy Bible compiled by Heather Cooper was a perfect idiot’s guide to our solar system, and the Greenwich Observatory’s guide to the 2016 night sky helped me find my celestial bearings. Huddled under a blanket in my back garden, I got a real sense of how humbled and yet how utterly thrilled my heroine must have felt looking at those same stars two hundred years before. Stephanie, the heroine of The Harlot and the Sheikh, is a veterinarian. Rest assured, any animal lovers out there, my reading for this book didn’t inspire me to start practicing. I can’t recommend Wendy Moore’s biography of the genius anatomist John Hunter, The Knife Man, highly enough. It is a brilliant, witty and gory introduction to the world of medicine in the late Eighteenth Century, and inspiration for my heroine’s approach of experimentation and observation. Claiming his Desert Princess is the final book in the series. My hero is an Egyptologist, a little (but only a little) inspired by the British Consul Henry Salt, whom I read about in Deborah Manley and Peta Ree’s biography. And turning the sheikh trope on it’s head, my heroine inhabits a harem.